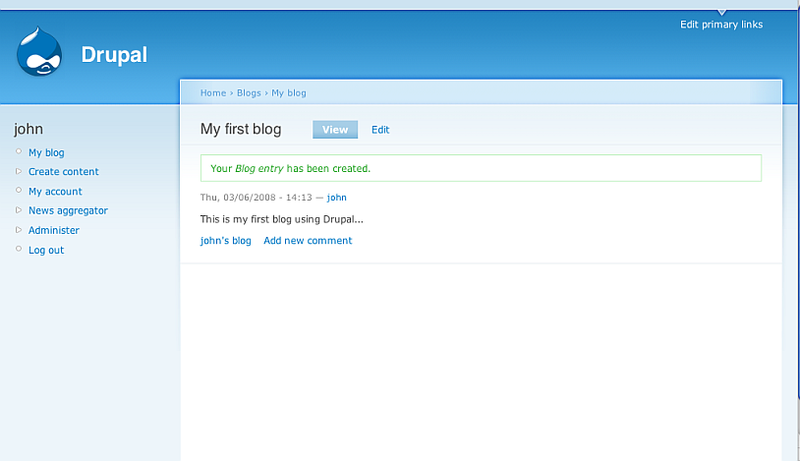 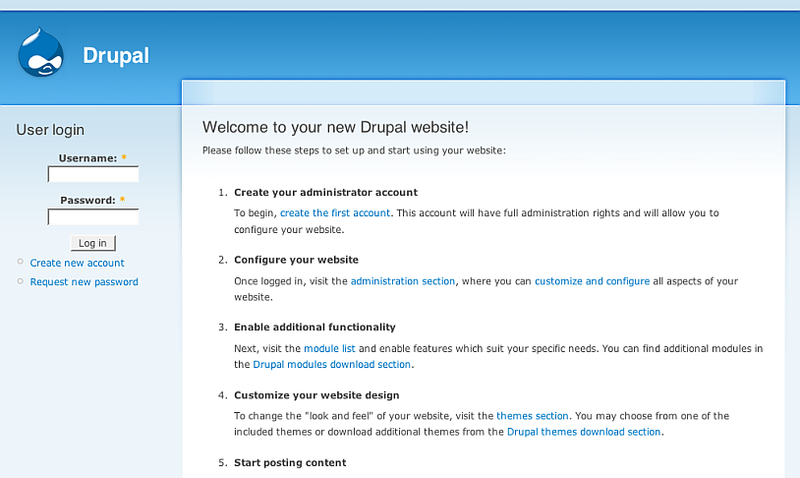 Drupal is a popular open-source content-management system (CMS) written in PHP. 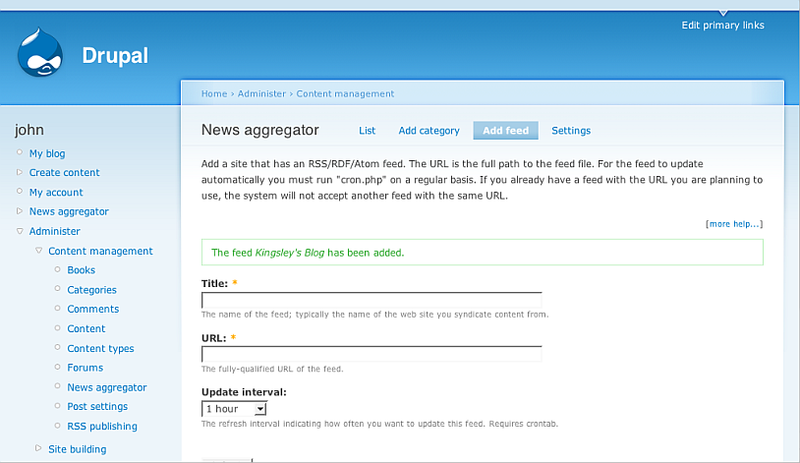 The steps below allow you to run it in Virtuoso. 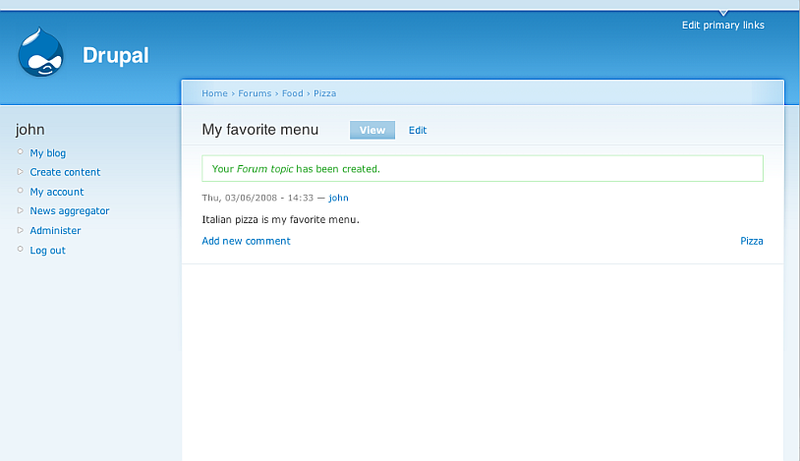 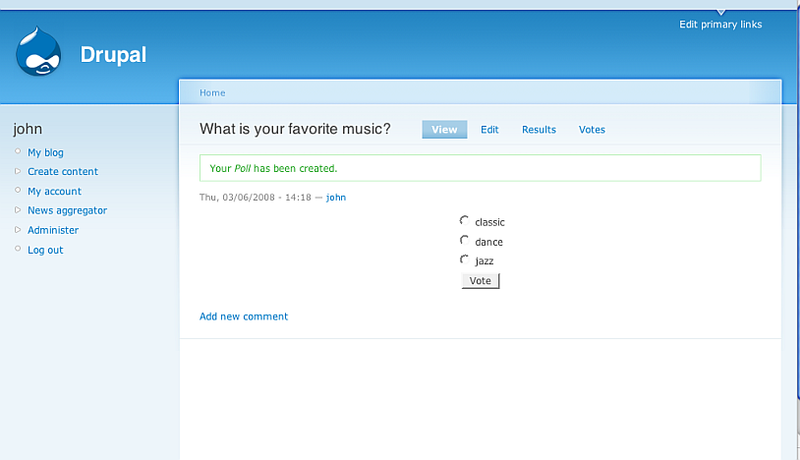 Create the first account: Click the link "Create the first account" and fill in the form fields. 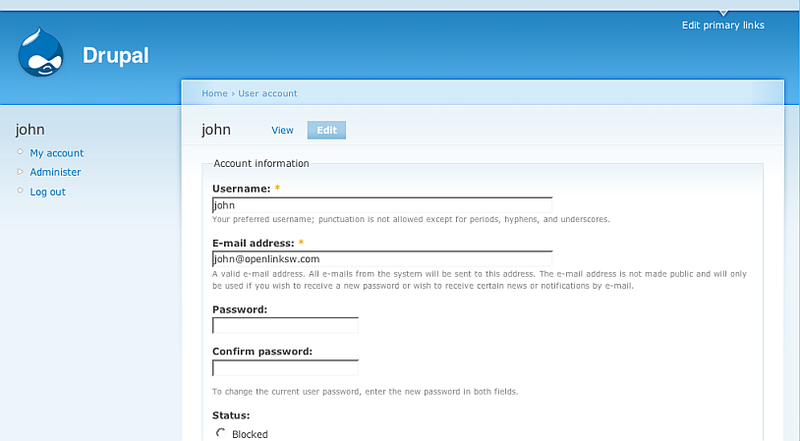 Finally click the "Create new account" button. 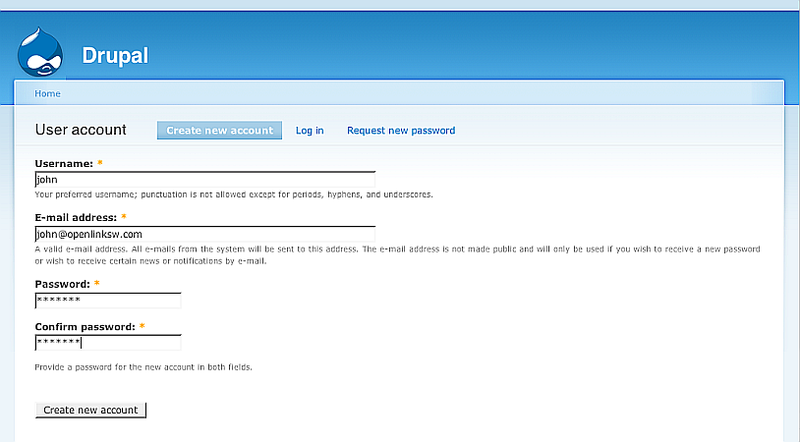 As result your account will be created. 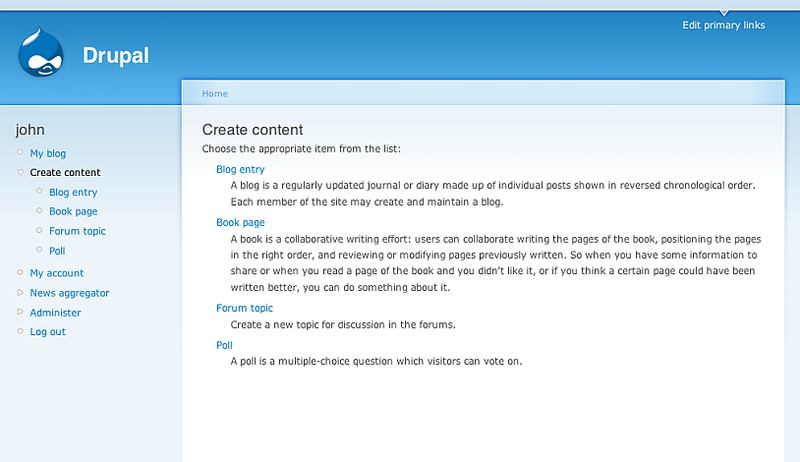 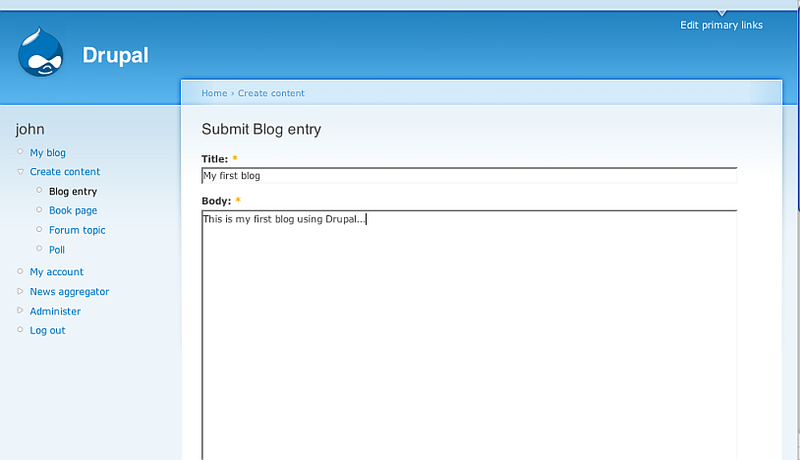 You can find the Drupal Linked Data Views scripts also here. 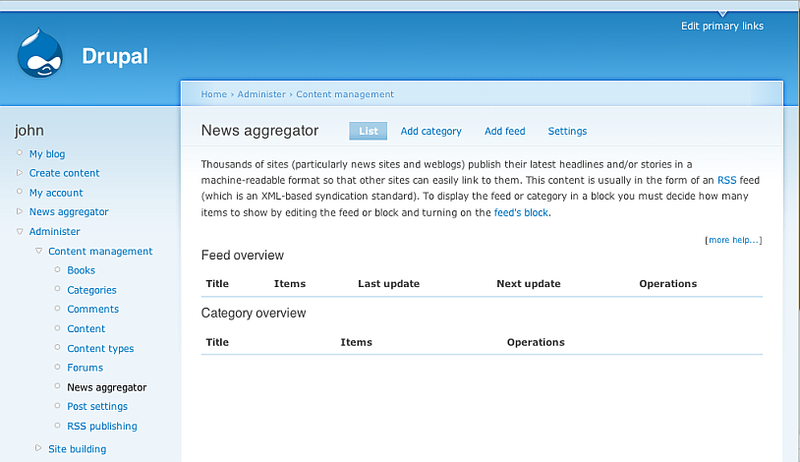 Once you have already created your administrator and configured the modules needed the Linked Data Views script to be executed correctly, log in and from the Welcome page click the "create content" link from the "Start posting content" section. 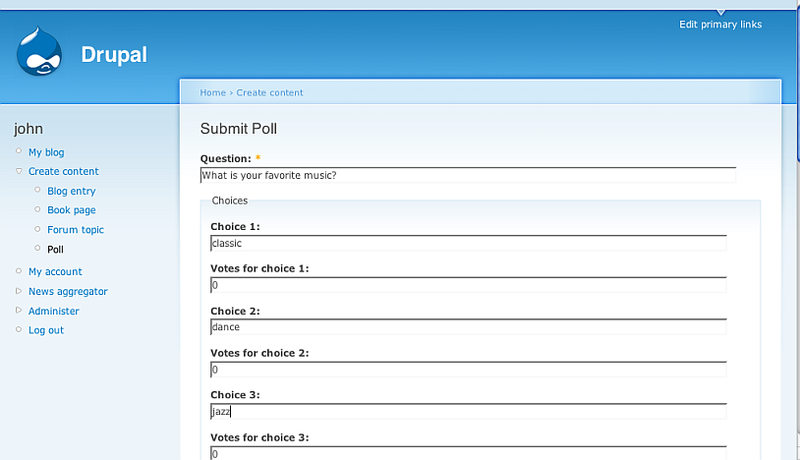 In the shown form enter your data and click "Submit"
Enter in the shown form your new Poll question and choices of answers and click the "Submit" button. 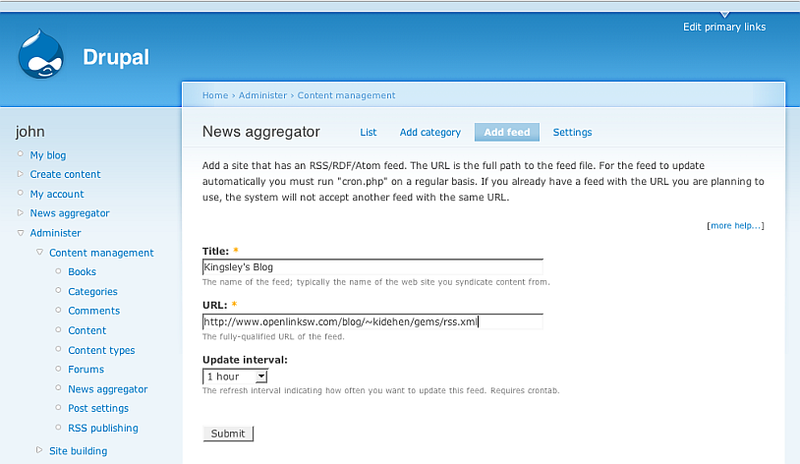 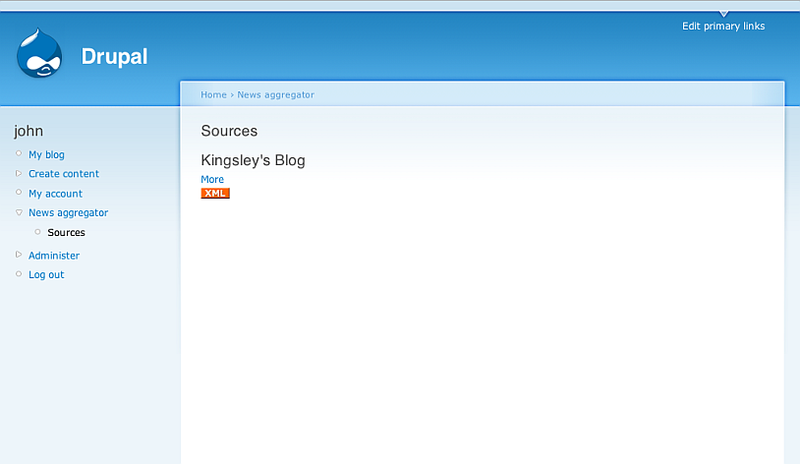 Go to Administer->Content management -> News aggregator and click the button "Add Feed". 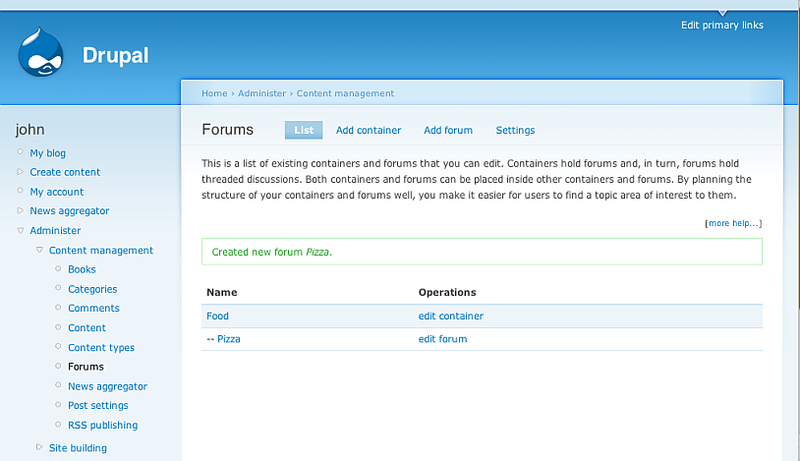 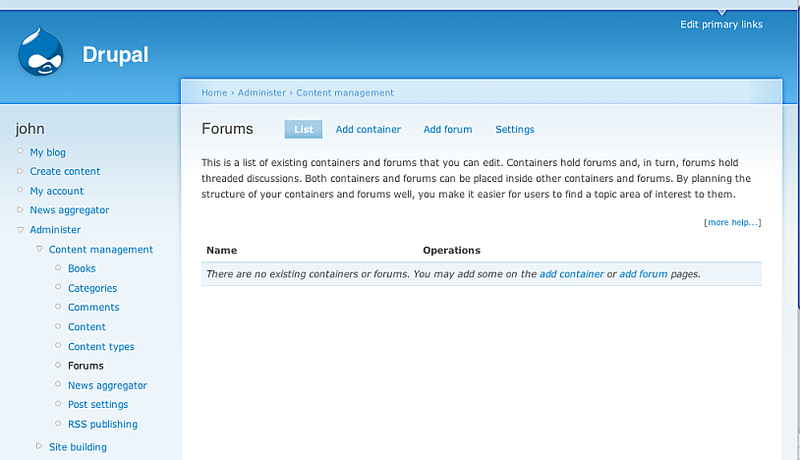 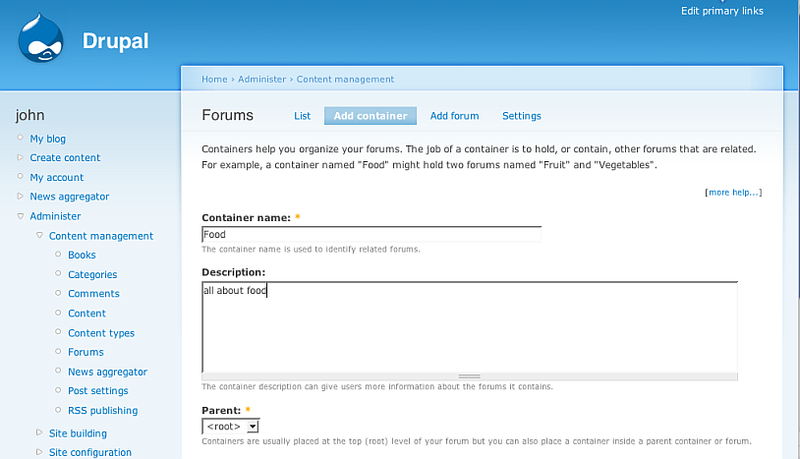 Click the "Add container" button. 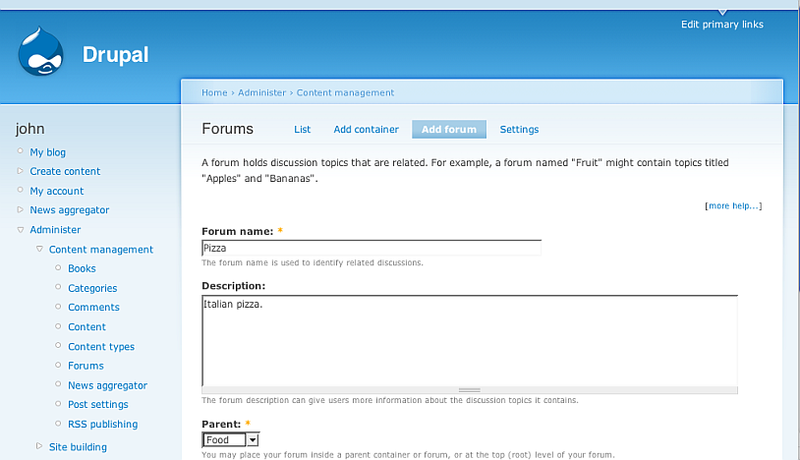 Click the "Add forum" button. 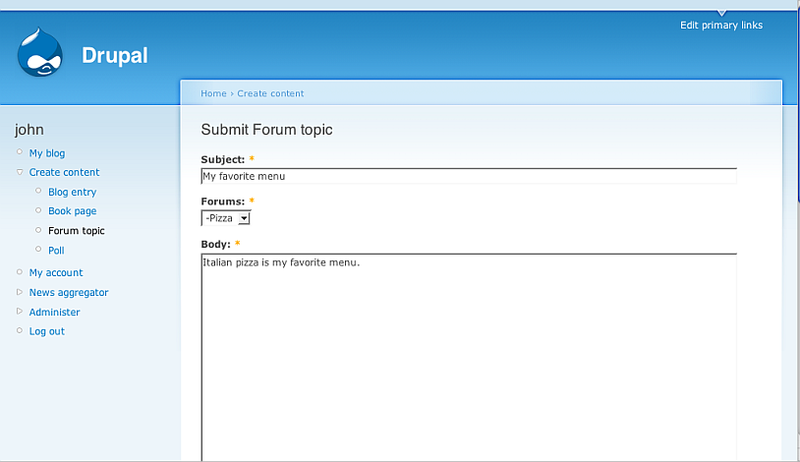 Enter for Body: Italian pizza is my favorite menu. 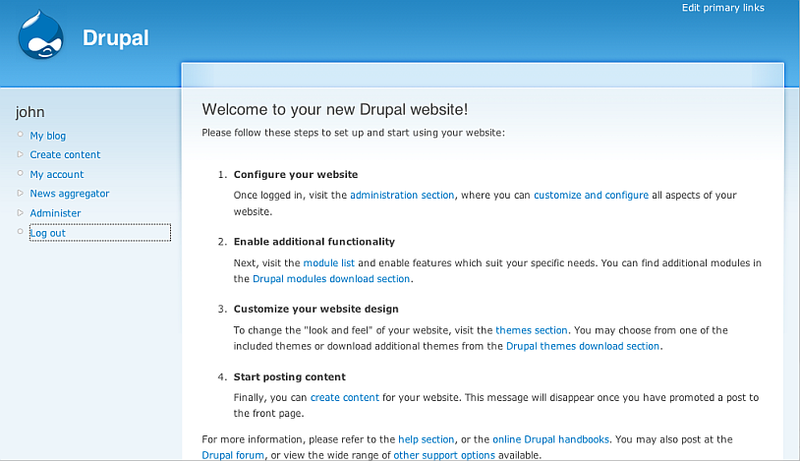 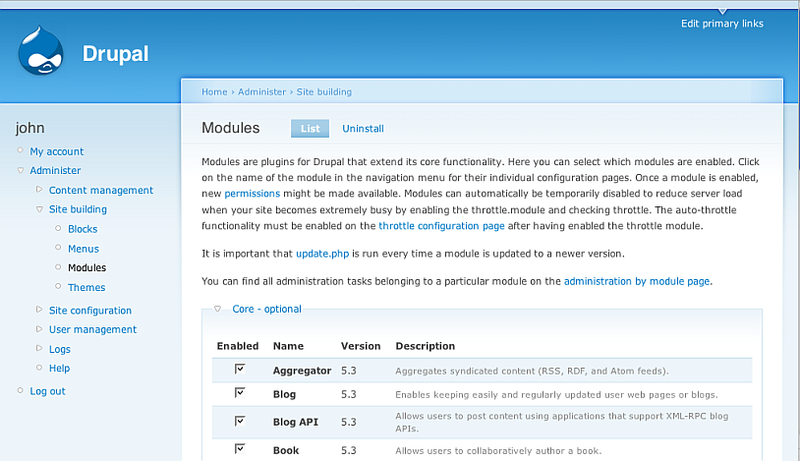 You can download the Drupal VAD package from here.